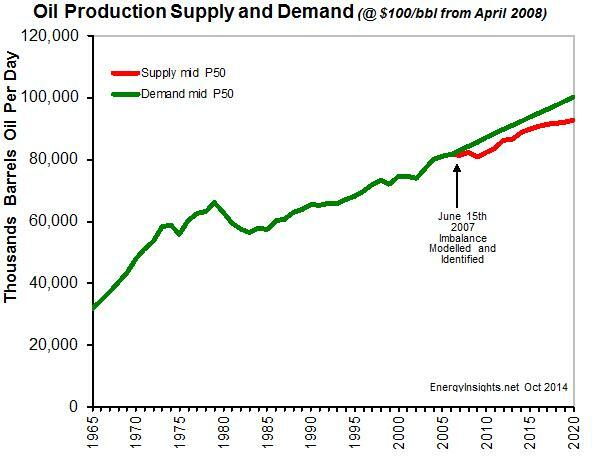 Enclosed are some interesting insights into the world of oil production and consumption from June 2014 data (BP statistics). We have highlights some key themes below the charts to help guide your eyes. This analysis includes our unique production forecasts for the period 2014 to 2020. This is based on details analysis of trends and technological developments plus geopolitical and security environment as best we can predict Oct 2014. 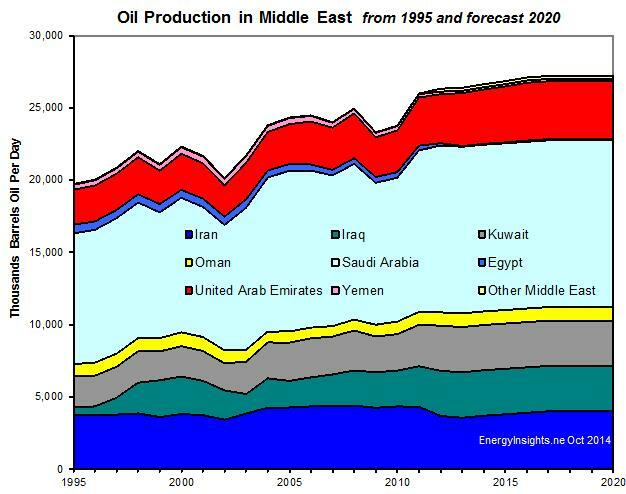 Middle East oil production continues to rise at a fairly slow pace - increased in Saudi Arabia, Kuwait and Iraq offsetting declines in other countries. Increases in Iraq have been disappointing and significant threats exist to further increases depending on security. Oil consumption in Saudi Arabia continues to increase, hence exports are not that strong, and we doubt Saudi Arabia has significant additional capacity in the event of a world oil production crisis. 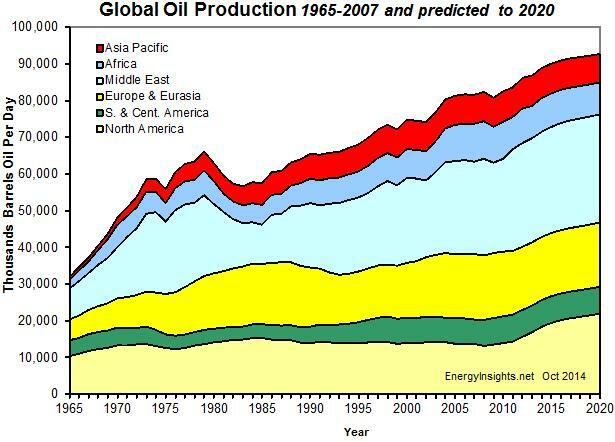 African oil production appears to be in a long term decline - despite recent discoveries in East and West Africa. 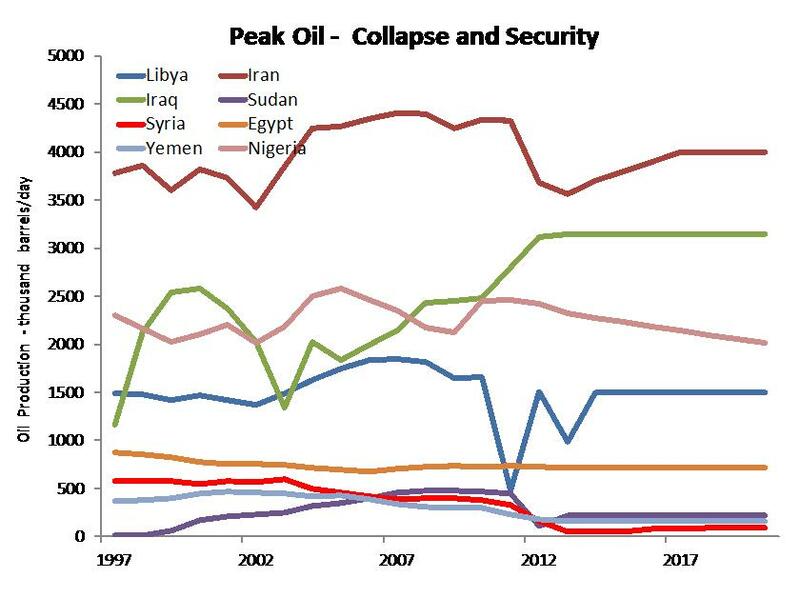 Major losses have occurred in Nigeria over the years - Egyptian oil production has collapsed. We cannot see any significant upside opportunities to reverse this decline at this time. 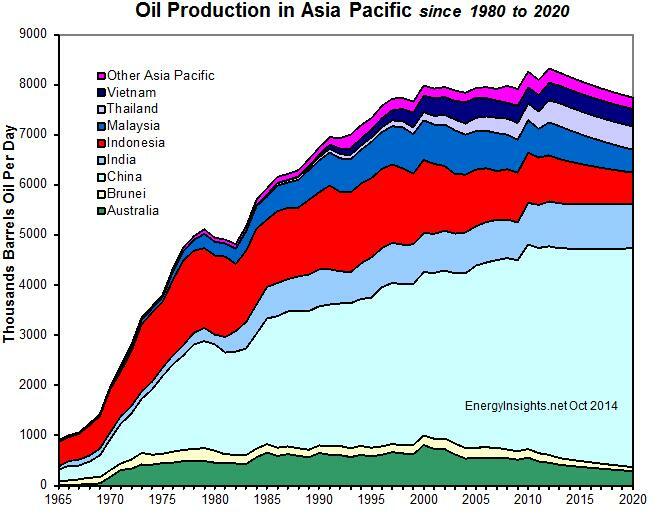 SE Asian oil production continues to increase slightly - though within this range of countries, Indonesia has suffered large declines, Australia is declining whilst China manages slight annual increases - this is likely to continue. 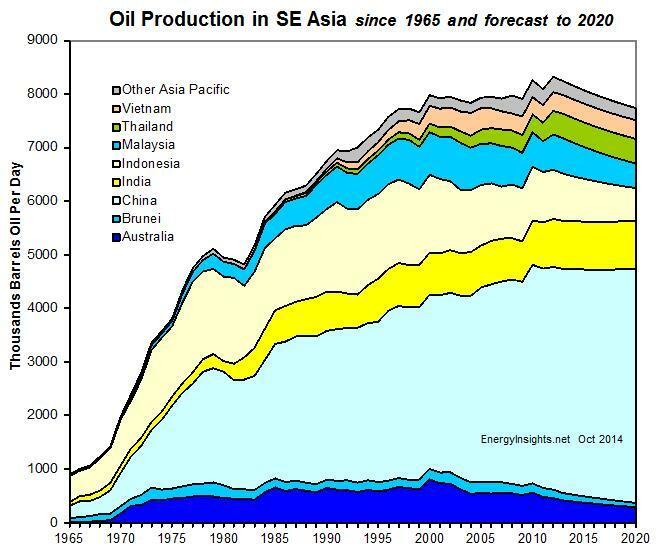 The upside is development of oil deposits in the South China Sea though border issues will probably slow development in this area. 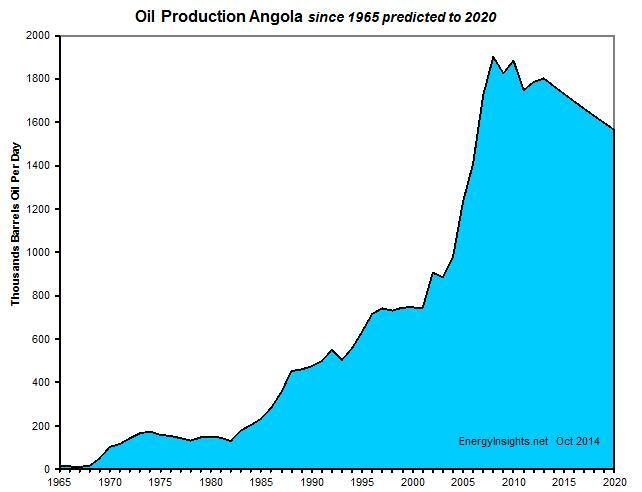 Angola oil production rocketed - and has now plateaued and is likely to start a slow decline. 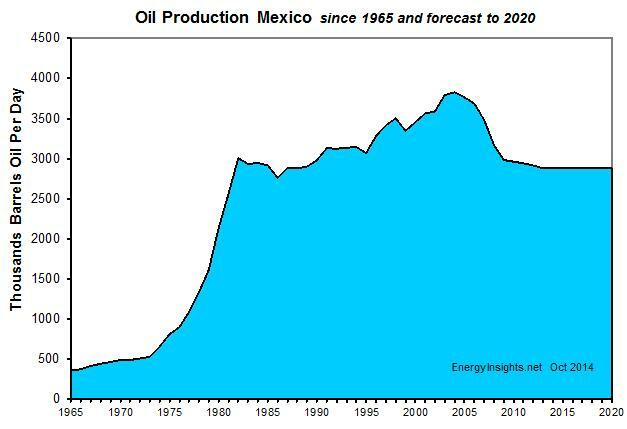 Mexican oil production collapses - and has now started to stabilize somewhat. Foreign investment in the next five years is likely to slow any decline - potentially reversing it. 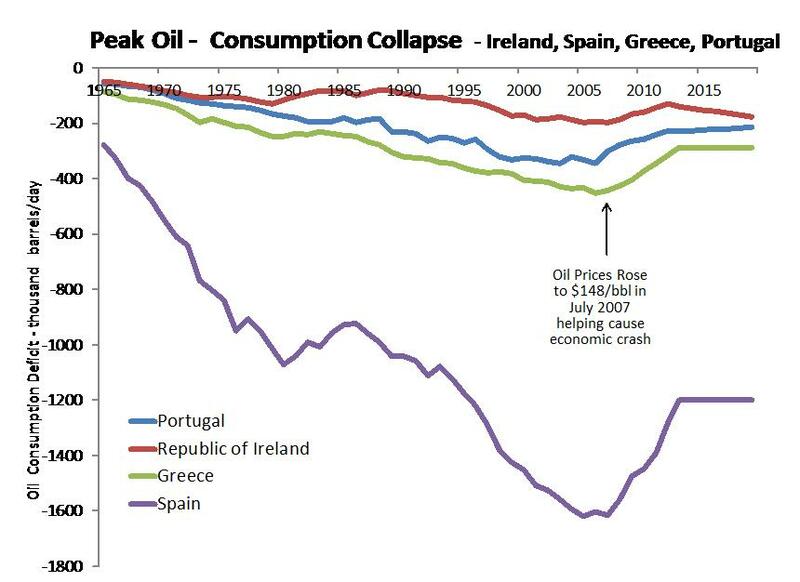 The PIGS countries have seen their oil consumption collapse along with their economies - not a good sign. However, their economies are starting to recover mid 2014 and their consumption is likely to start increasing once more as long as there is not a global recession. 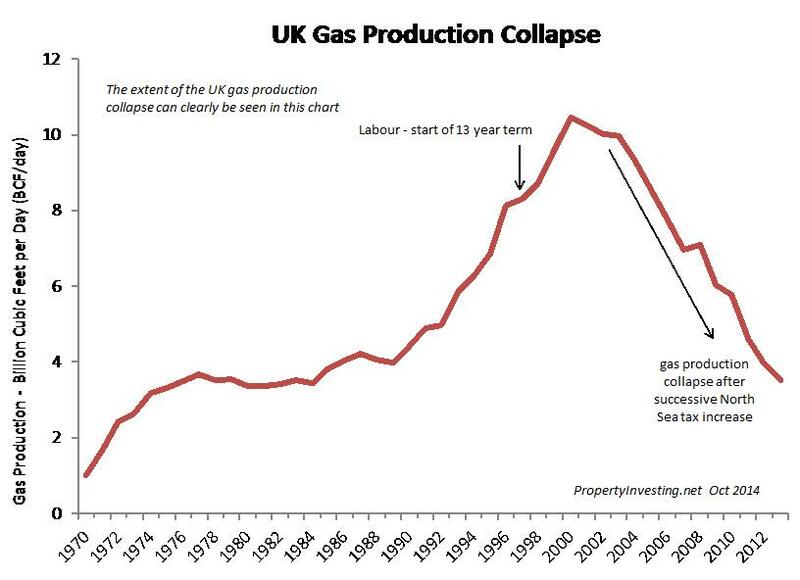 Gas production in the UK has collapsed after successive tax increases and lack of investment. Major oil companies have deserted the UK North Sea. Shale gas have yet to be tested - no flow from any shale gas well has ever been recorded - so the country has still no idea whether shale gas is present at economic production rate - even if planning allowed its development. We doubt the UK population will allow shale gas production since the ferocity of emotion stacks up against production. The country is simply too densely populated to allow easy development. 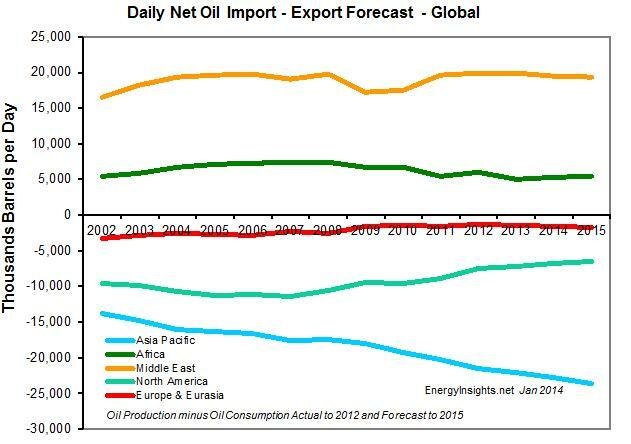 Gas prices have increased as UK gas production has collapsed - due to high priced foreign imports. Tax breaks for gas have not been forthcoming - and seem unlikely. The UK government seem set to take the lions share of profits through taxes - e.g. 90% of the cost of petrol goes to the Treasury making North Sea oil production sub-economic (50% of North Sea revenues go to the government and 80% at the pump - the highest taxes in the world of any oil producer). 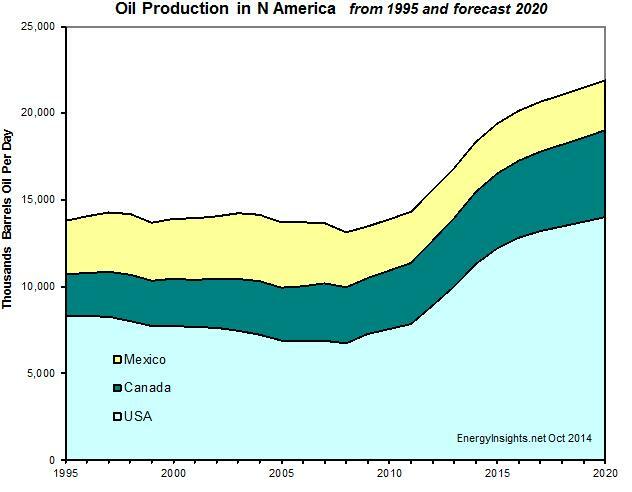 Global oil production continues to rise - but the new oil coming onstream has exploration and development costs of range $15-$80/bbl (oil prices $100/bbl) compared to the $1-$8/bbl back in 1999 (when oil prices were $9/bbl). Oil production has collapsed in some of the more unstable countries - lack of oil revenues and expanding populations have caused economic hardship - which has help trigger regimes collapsing and low oil production as fighting-security issues pervade. 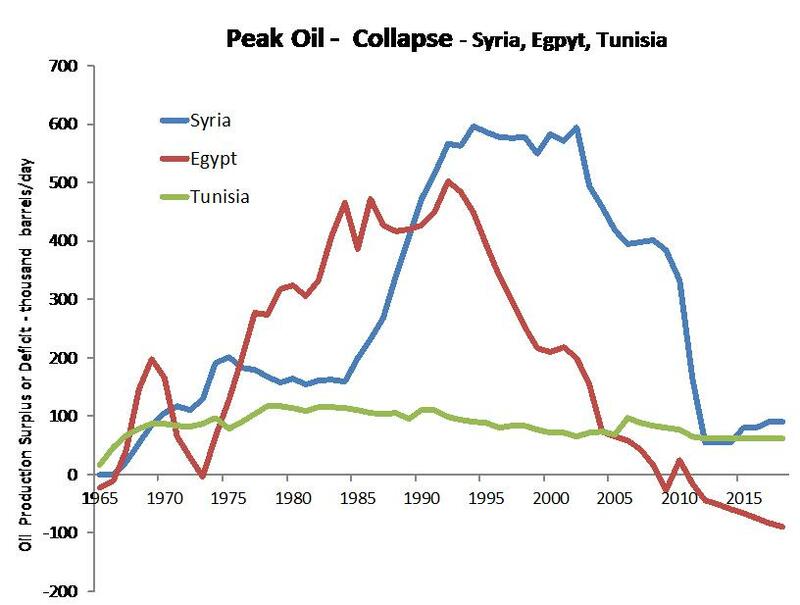 Peak oil collapse - in Syria, Egypt and Tunisia - has in our view help trigger the regime change as food and fuel prices were forced up and social spending collapsed - as oil exports declined. Getting used to cheap oil (the "punch bowl" that is then taken away) might be worse than having none in the first place ("dry party"). 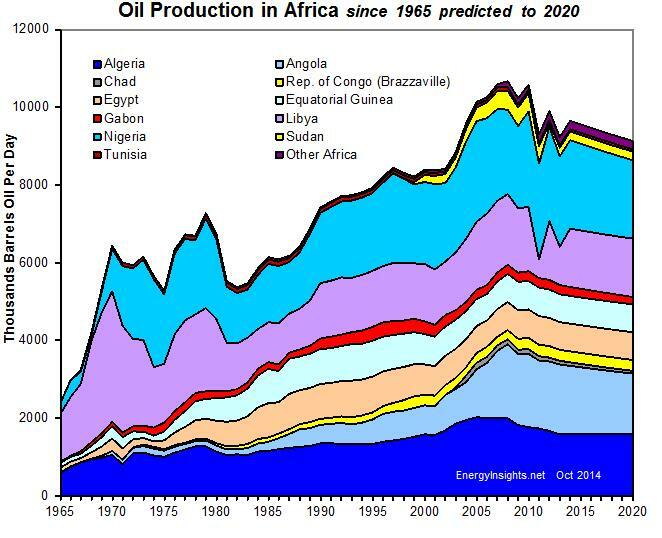 African oil production is unstable and appears to be in decline.